Cook quinoa per package instructions. 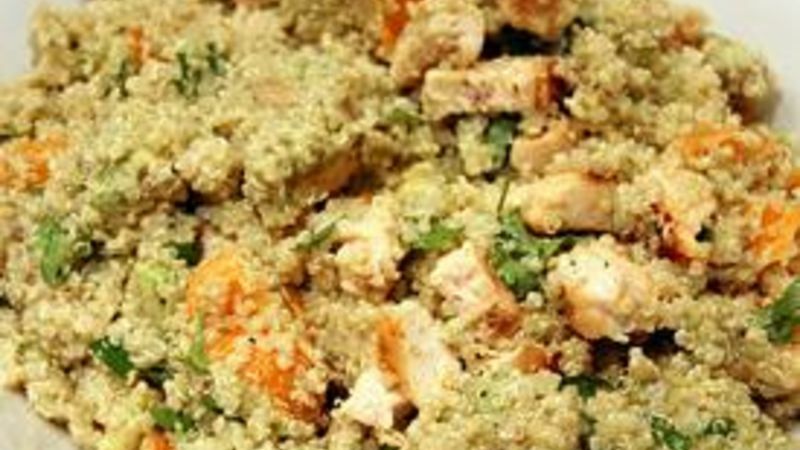 Combine in a large bowl: cooked quinoa, shredded chicken, mandarin orange slices, chopped cilantro, and olive oil. Zest the lime over the bowl and mix. Juice the lime, add to the bowl, and mix.